In Everything Is Possible, Jen Bricker shared how she was given up for adoption and how the doctor told her birth father that she would die. She was born without legs. Gerald and Sharon Bricker adopted her into their family of three boys. Sharon had to have a hysterectomy and desperately wanted to have a girl so she prayed and God answered. They eventually adopted her. Throughout the book, she shared her personality and how she loved to try new things and she was always looking for an adventure. Jen can roller skate, walk on her hands, do gymnastics, and much more. She also appeared on Maury years ago and she talked about how she played sports and tumbling and how she lived as a Christ follower. She also won a state championship as an aerialist and was also involved in the Britney Spear’s Cirrus Tour and she performed powerful acts. She shared how God can make everything possible and its okay to dream big. It’s critical to remove and avoid the words, “I can’t”. We have to remember that God is more than able to assist us through whatever we face. I would recommend this life changing book to anyone who is in need of some inspiration. I love how Jen Bricker shared how God taught her that anything is possible if anyone believes in Christ. I appreciated how she revealed her details about her past relationships and how she is still believing that God has the person planned out just for her. I loved the reminder about how important it is to be vulnerable and not to hearten our hearts and stop the flow of love from enter our lives. I’m also believing that God will lead me to the woman he has just for me. Taking a risk is a very daunting task, but it’s worth it knowing that we at least tried! 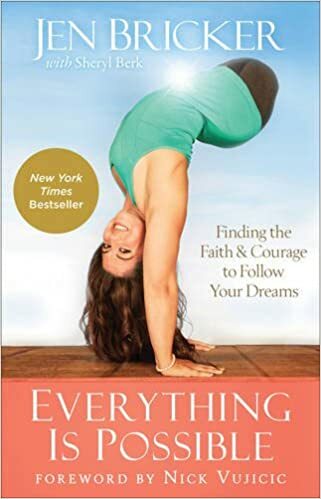 I also liked how she included “My Vip’s” sections throughout the book and this featured stories from others about how Jen Bricker lives her life. I also loved how she revealed the story behind meeting her two biological sisters. This is truly an amazing God connection! If you’re looking for an inspirational book to read, check out this one! In Shaken, Tim Tebow shared his journey and his football career in the NFL. He played for the Denver Broncos and in 2012 he was traded to the New York Jets. They let him go a year later. He felt insecure and he questioned if he was good enough and what he could have done differently. He shared how disappointed he was and how his world was shaken and how he leaned on his Faith that God still had a great plan and purpose for his life. He had a dream of being a quarterback and he received a few offers to play other positions after he was cut. Tim Tebow had to reply on his true identity in Christ and he reminded readers that we can’t base our identity in our job, marriage, health, money, material things, and anything else apart from Christ. Tim has won two national championships and a Heisman Trophy but his football career isn’t his true identity. 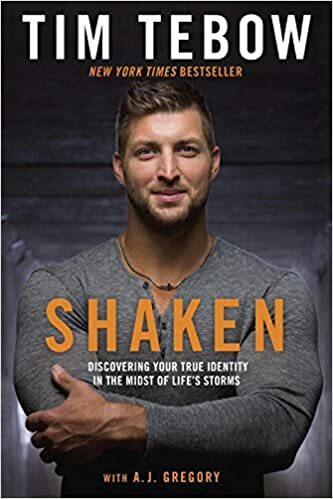 Throughout the book, Tim Tebow shared with readers on how to discover their true identity and how to live out their purpose and how to survive whatever storms you may have to encounter. I liked how Tim Tebow shared the story of Mark Stuart, the former lead singer of the Christian group, Audio Adrenaline. He sold three million copies and released eight albums. He had 17 #1 radio hits and won two Grammys and Dove awards. In 2004, he began to lose his voice and was diagnosed with spasmodic dysphonia and he was unable to perform heavily again. He admitted to being torn on what to do next with his life. He eventually decided to live out their hit song, “Hands and Feet” and his organization is trying to build a medical clinic and a children’s home that is committed to helping kids with special needs to be adopted. He was able to find his new purpose and a plan for his life. I would recommend this life changing book to anyone who enjoys football and they love reading about the walk of another Christian on and off the field. I have always enjoyed watching Tim Tebow and his career. He is mostly known for kneeling and praying on the field. I love how Tim Tebow was real and transparent in sharing how he rediscovered his identity and purpose after being traded and then cut from a team. I also loved how he explained how he deals with his critics and how we need to not be our own worst enemy. I also liked how he shared personal stories of people he met through his own foundation and how the people changed his perceptive and outlook on life. 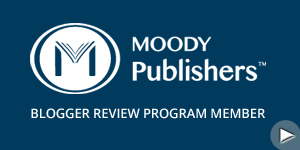 If you’re looking for a wonderful book to read, then get this one!